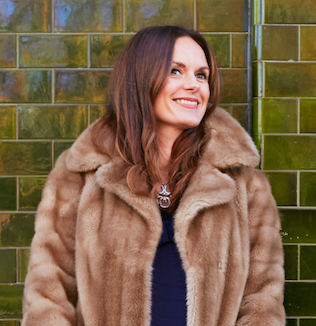 Charlotte is an Interior/Fashion Stylist and Creative consultant. She was also Creative Director and founding Partner of Betty Magazine London and Fashion Editor for Oh Comely magazine. She has over 20 years experience in Interiors, Lifestyle, Food and Fashion as a stylist and Creative Director. Working for a wide range of clients including Elle Decoration, Red, Wallpaper, Living etc, Heals, Cosmopolitan, Miss Selfridge, Sony, John Lewis, Debenhams, John Brown Media Group, Tatty Devine, Nougat, Quadrille Publishing, Sun Jellies, Freepeople, Oh Comely. Charlotte also worked for several years as Creative Director and buyer for Raft Furniture creating a bespoke visual identity for their stores and exhibition stands. In 2011 Charlotte became Creative Director main stylist of Betty Magazine. During this time recruited a team of talent to help develop the magazine into an international success that ran for six years. Under Charlotte’s direction the magazine became know for Iconic covers, Photography, Styling and its high production values. As well as being a thriving online business, Betty was in stores such as Selfridges, Harvey Nichols, Waterstones and Standard Bookstore Japan. As well as her work in publishing Charlotte now works on Interior Design projects for residential and commercial clients specialising in colour consultation and sourcing and buying work.